Bimini Sands and Neal Watson's Scuba Center just hosted Famous wildlife photographer and Television Presenter, Chris Packham, with a team from the BBC 2. They were working alongside the team from Shark Defense. — at Bimini Sands Resort and Marina. Check Out Bimini Sands on Facebook!!! For the latest news about our resort, and the best deals on visiting our little paradise in Bimini, check us out on Facebook! 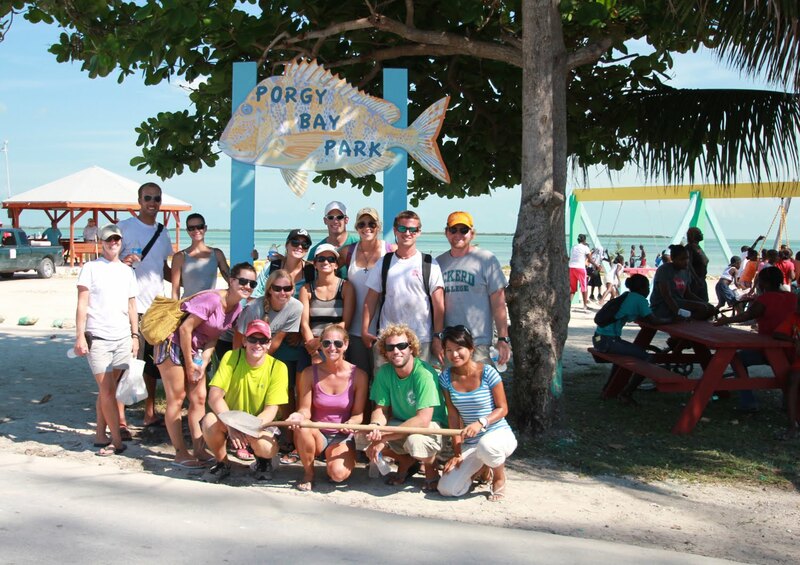 Last Saturday, a crew from Bimini Sands teamed up with our colleagues on the Bimini Tourism Advisory Board (BTAB) to help establish a fantastic new park up in Porgy Bay, North Bimini. Dozens of people from around Bimini joined in to clean up the park property, remove invasive Australian Pine trees, plant dozens of new trees and plants, and build playground equipment for Bimini's youth. By the end of the day, an incredible transformation had taken place and the community of North Bimini was left with a wonderful new playground and gathering place. Bimini Sands is always looking for ways to help make Bimini better for both visitors, and those of us who live here, and we're extremely happy with the new Porgy Bay Park. Next time you're on Bimini, make sure you check it out! 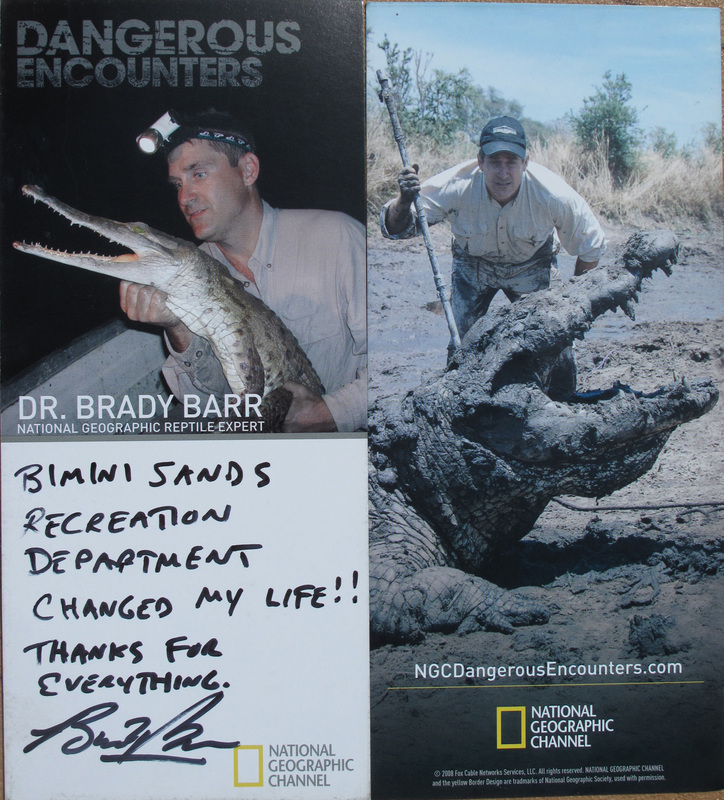 Brady Barr & the National Geographic Channel Back at Bimini Sands!!! Dangerous Encounters with Brady Barr, the hit show from the National Geographic Channel and Nat Geo WILD, just wrapped up another hugely successful shoot here on Bimini! The Dangerous Encounters team spent the last 5 days filming with the team from the Bimini Sands Recreation & Activity Center. 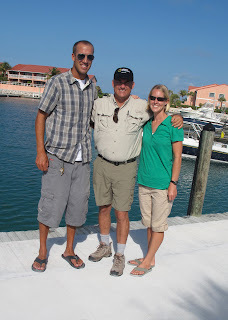 This is the Recreation Department's fourth time working with Brady Barr and his team, and the third time that this series has come to Bimini to film our exciting wildlife! 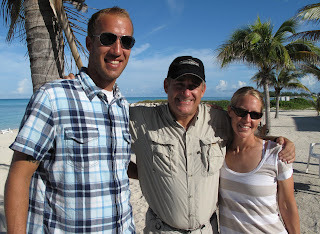 Stay tuned to the Bimini Sands Blog for more information about this exciting visit from National Geographic TV!!! 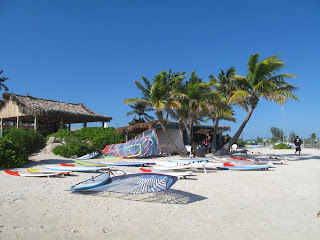 The team at Bimini Sands is happy to report that little Bimini was essentially unaffected by Hurricane Irene. We've had some gusty winds and periodic rain for the last two days, but nothing even close to what some of the other islands of the Bahamas experienced. 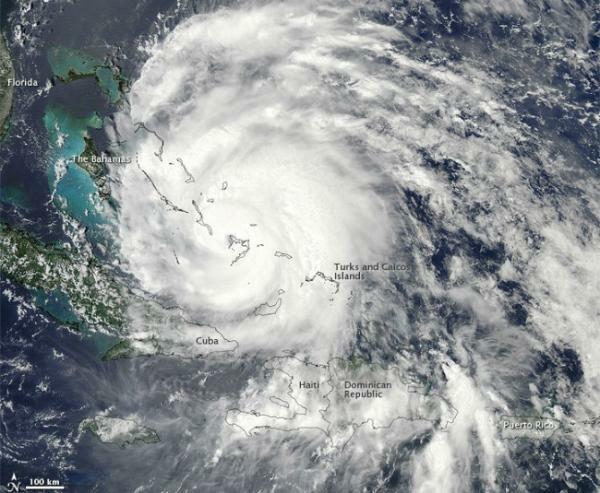 All utilities on the island were also unaffected, and Bimini is very much open for business. We're still learning the extent of the damage elsewhere in the Bahamas, and hoping that our neighbors to the east bounce back quickly and completely. Bahamas Lobster Season is OPEN!!! The much anticipated opening of the Bahamas lobster season is here! - The catch limit is 10 lobsters per boat, not per person. - The use of SCUBA to harvest any marine resource is PROHIBITED. - Lobster tail length should be no smaller than 5.5 inches. - The use of traps, without a specific permit, is PROHIBITED. - Catching any egg-bearing females is PROHIBITED. - The use of bleach or any other noxious substances is PROHIBITED. 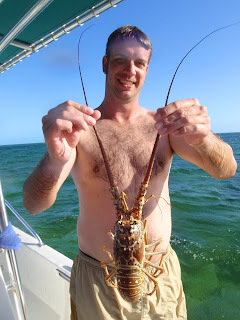 - While you can use either a pole-spear or Hawaiian sling to capture lobster, spearfishing is PROHIBITED within 200 yards from Bimini's shores. The Open Season for Lobster in the Bahamas runs from August 1 - March 31, and is thus CLOSED from April 1 - July 31. During the Closed Season it is unlawful for any individual to take, capture, kill, offer for sale, or have in their possession any fresh or live lobster. Your cooperation is vital to keeping the Bahamian reefs and banks healthy, for all of us to enjoy!. 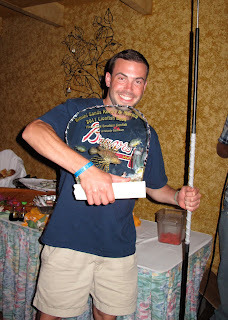 LIONFISH BASH 2011 WRAP - UP !!! 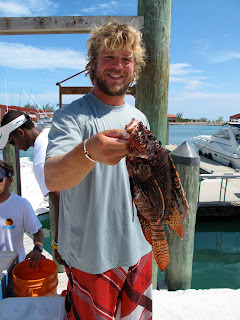 We've just completed the first ever Bimini Sands Lionfish Bash, and it was INCREDIBLE!!! The Bimini Sands Lionfish Bash was set up as a fun, family spearfishing tournament that was aimed at helping Bimini's marine ecosystem by removing as many invasive Lionfish as possible. Not only that, but it was a charity event as well, with all profits from the tournament and related activities going to the Jackson Memorial Paramedical Trust in honor of our friend Woody Beckham. With 13 boats entered in the Lionfish Bash tournament, we were able to remove a total of 318 lionfish from Bimini's waters in one day! There were prizes going to the teams with the most lionfish caught, as well as the contestants who snatched up the biggest lionfish, the smallest lionfish, and the biggest lionfish for a Jr. angler. 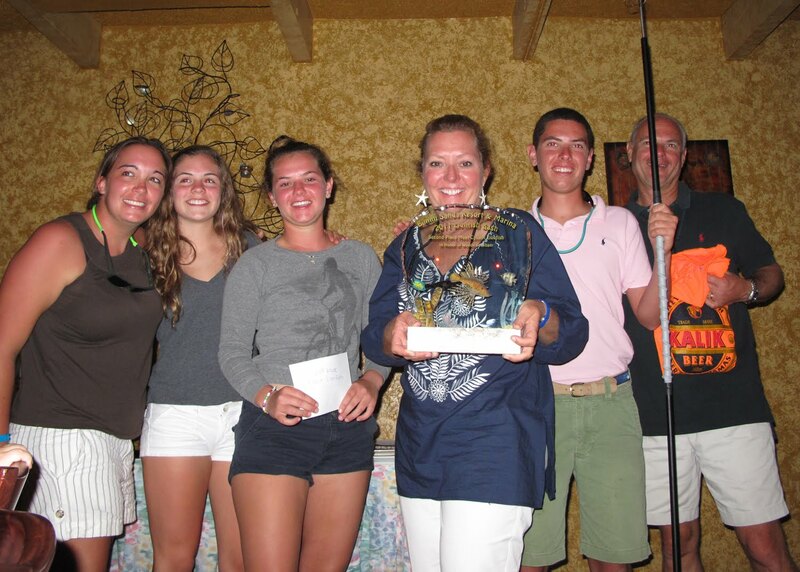 Our Jr. angler winner was Kaylee Fantis, from the boat Extra Expense, who caught a lionfish weighing 12.65 oz. The winner of the prize for Smallest Lionfish Caught was Charles Slick, from the boat Bloody Bill, who was able to grab a lionfish weighing just 0.05 oz. The angler who brought back the Biggest Lionfish Caught was Jim Barley, from South Bimini's SharkLab, who hauled in a huge 31.30 oz lionfish. Prizes were then awarded for the Most Lionfish Caught, and the second-most Lionfish Caught. Our 2nd Place prize went to the Mills Family on the boat Extra Expense, who brought back an incredible 110 lionfish! 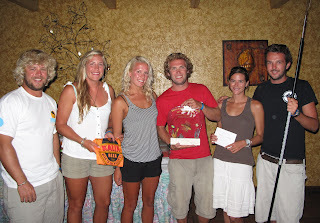 And the Grand Prize winners of the first annual Bimini Sands Lionfish Bash was the team from the SharkLab, who brought back a whopping 153 lionfish!!! 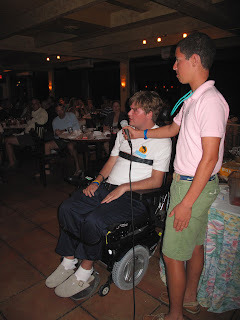 We finished the tournament with a fantastic awards dinner down at the Bimini Twist restaurant, where the honoree of the Lionfish Bash, Woody Beckham, thanked all of the incredible donors and sponsors who helped make this event such a wonderful success. In addition to slaying over 300 of the harmfully invasive lionfish, we were also able to raise over $15,000 for the Woody Foundation and their charity of choice, the Jackson Memorial Paramedical Trust. All in all, the Bimini Sands Lionfish Bash was a wonderfully fun and positive event, and we can't wait to do it again next year!! The Bahamas Bans Commercial Shark Fishing!!! The Government of the Bahamas has made a landmark decision in declaring a complete ban on any and all commercial shark fishing in Bahamian waters. This new legislation essentially creates a "shark sanctuary" that extends for more than 240,000 square miles throughout this island nation. · A prohibition on possessing, fishing for or landing shark or shark parts. · A prohibition on the sale of shark, shark parts or shark products within The Bahamas or within the Exclusive Fishery Zone of The Bahamas. · A prohibition on export or import of shark, shark parts or shark products. · A research permit allowance: A person who wishes to fish for, have in his possession or export any shark or shark parts for educational, scientific or research purposes, shall apply to the Minister for a permit. · A catch and release allowance: A person who hooks or catches a shark while fishing recreationally, shall release the same into the sea unharmed. · An incidental catch allowance: A person may keep a shark if it is incidentally caught and used only for artisanal purposes. Sharks are a crucial part of the marine ecosystem, and are largely responsible for the healthy reefs and fish populations still found throughout the Bahamas. Shark related tourism also brings almost $80 million to the Bahamian economy each year. 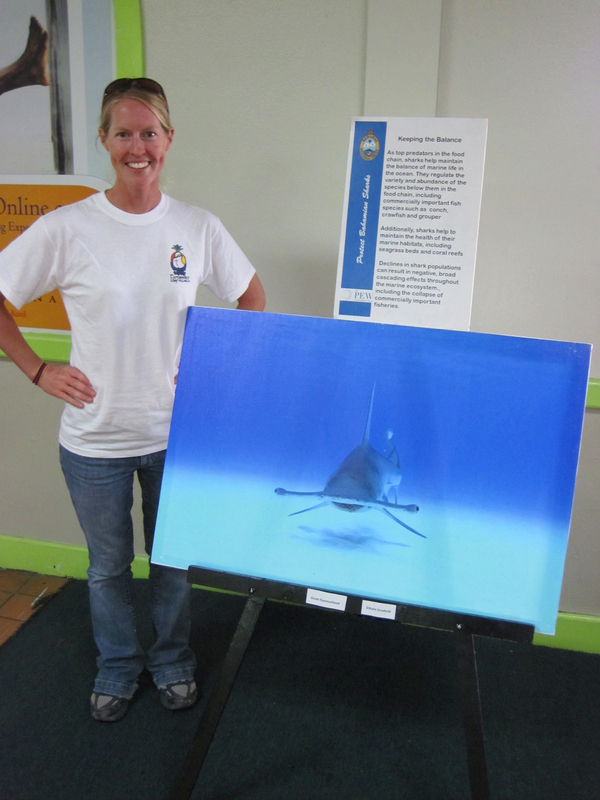 Bimini Sands Activities Director, Katie Grudecki, donated several photos to the Bahamas National Trust for their shark campaign, and we're thrilled to hear that the work of several people paid off in creating this important new set of laws for the Bahamas. For more information about this new legislation, check out this link from the Nassau Guardian. 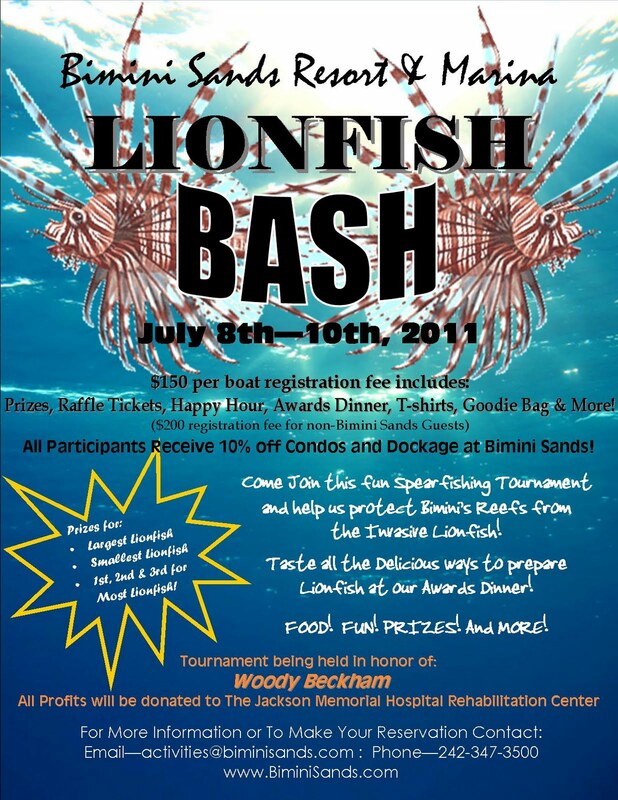 The first annual Bimini Sands Lionfish Bash is coming up this weekend!!! There's still time to register your boat to enter this fun, exciting tournament. Contact us at activities@biminisands.com for more information, and stay tuned to the Bimini Sands Blog for more updates coming soon! We're less than a month away from the first annual Bimini Sands LIONFISH BASH, and we're going to have plenty of updates coming to the Bimini Sands Blog over the next couple of weeks. Not only is the LIONFISH BASH going to be a fun and exciting tournament, but it's also being held to raise money for charity. The Jackson Memorial Hospital Paramedical Trust. playing rugby and is now paralyzed from the chest down. Even though Woody understands there will be many challenges ahead, he still hopes to become a Marine Engineer and hopefully dive again one day. and all others facing challenges like his. Because of this, Bimini Sands has decided to donate all profits from this tournament to Woody’s charity of choice: The Jackson Memorial Hospital Paramedical Trust. 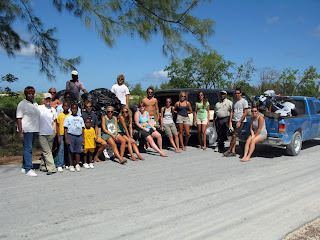 Bimini Pride Day - South Bimini Beach Clean-Up! 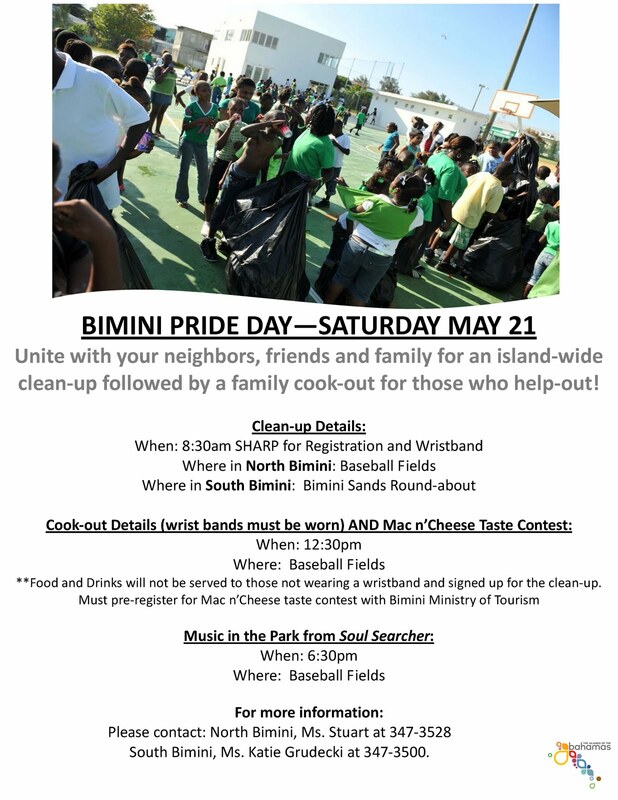 Saturday, May 21st, was the first ever Bimini Pride Day. The event was set to be an island-wide clean-up that tackled the litter and trash accumulated along the roadsides & beaches of Bimini. Over 100 people participated on North Bimini, yet just a handful of people helped out on South Bimini. 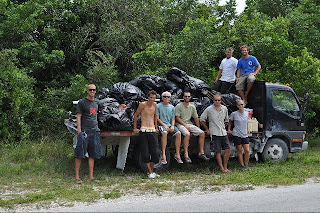 Bimini Sands & the SharkLab have lead and organized dozens of clean-up efforts around South Bimini over the years, and we were hoping to get help from other homeowners, business owners and residents for the Bimini Pride Day event. 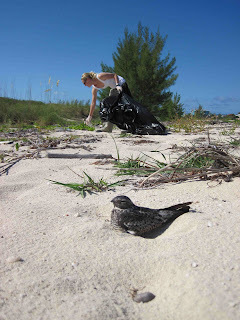 A few Bimini residents that surely enjoyed our efforts were the three Common Nighthawk mothers that had laid eggs along South Bimini's gorgeous western beaches. Nighthawks are voracious predators of various insects, including mosquitoes, so we were very happy to help tidy up around their nests to ensure that the next generation of these birds starts chowing-down on mosquitoes as soon as possible. 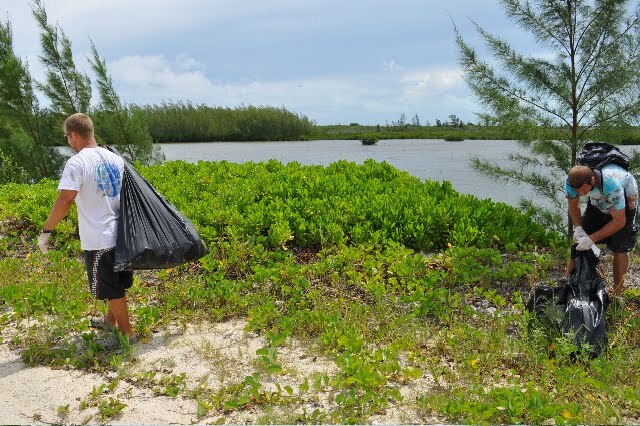 Hopefully the next clean-up event will garner a bigger turn-out, but regardless, Bimini Sands is always happy to do our part in keeping Bimini clean and beautiful. 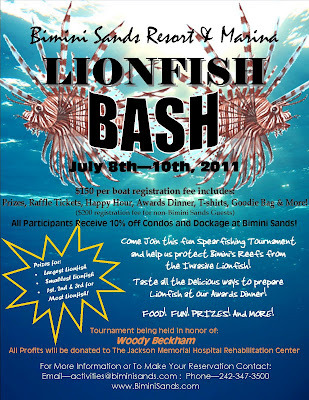 UPDATE: BIMINI SANDS LIONFISH BASH JULY 8-10, 2011 - BAHAMIAN INDEPENDENCE WEEKEND!!! The first annual Bimini Sands Lionfish Bash has been rescheduled for July 8-10, 2011, Bahamian Independence weekend!!! Join us for this exciting spearfishing/fishing tournament and help the Bahamas declare their independence from the invasive lionfish!! This important and fun event will be capped off with one of the best fireworks shows in the Bahamas! 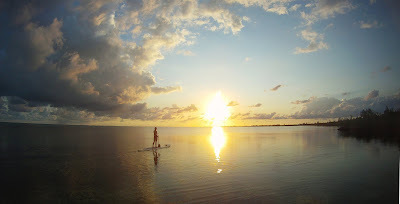 Contact us at activities@biminisands.com for more information, and stay tuned to the Bimini Sands Blog for updates!! Join us May 21, 2011 for the first ever Bimini Pride Day! Bimini Sands is helping organize an island-wide clean-up campaign to energize the community to keep little Bimini beautiful and clean. Everyone is welcome to join us, and anyone who helps is invited to a fun cook-out event on North Bimini later in the day. April is Coastal Awareness Month, and as we do every year, Bimini Sands participated in another clean-up campaign on the island of Bimini. 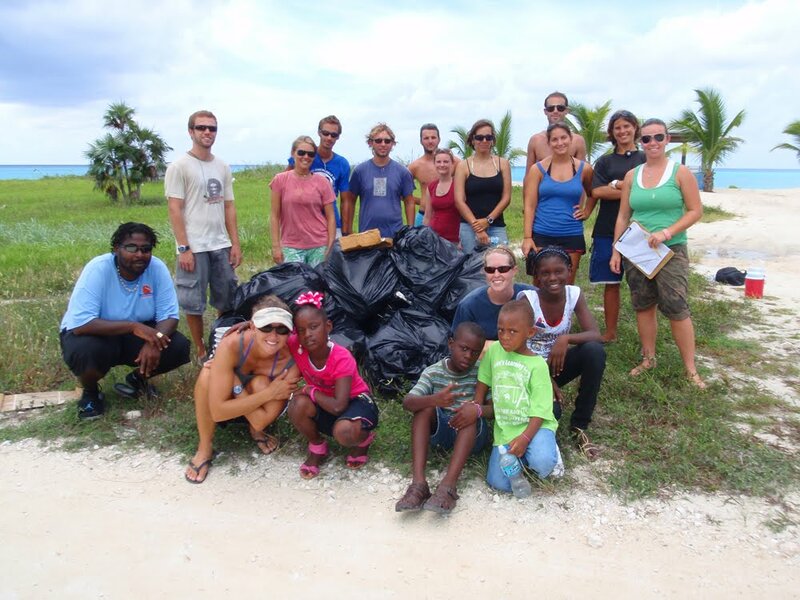 Teaming up with our friends at the SharkLab and a crew from the Bimini Tourism Office, we were able to remove several hundred pounds of trash and debris off of the beaches and roadsides of South Bimini. Bimini Sands will be helping out with more clean-up efforts in the near future, and we have participated in dozens of them in past, and we always appreciate any help that our visitors and condo-owners can offer to keep Bimini the beautiful island paradise that it is. 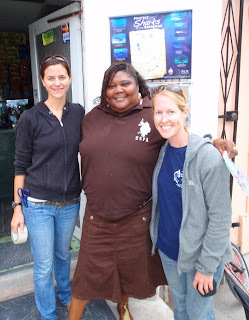 Especially on an island as small as Bimini, if we all do a little, we can really do A LOT!!! Great New Videos About Bahamian Sharks!!! The Bahamas National Trust has teamed up with the PEW Environmental Group to launch a campaign to establish the Bahamas as a shark sanctuary. What that means is that the sharks of the Bahamas would be forever protected against the possibility of a commercial shark-fishing industry. 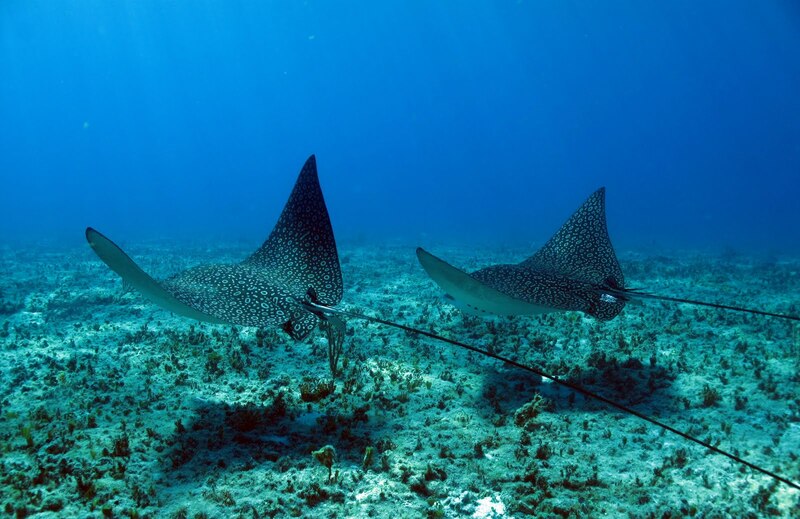 The sharks in the Bahamas are largely responsible for the beautiful reefs and healthy seagrass meadows, as well as the bountiful fish populations that inhabit them. Shark-based tourism also injects almost $80 million dollars into the Bahamian economy every year. Bimini Sands took a very proactive step to become the first Shark-Free Marina, not only in the Bahamas, but in the entire world. We also have been offering our hugely popular, and educational, Shark Encounters for more than 4 years now. 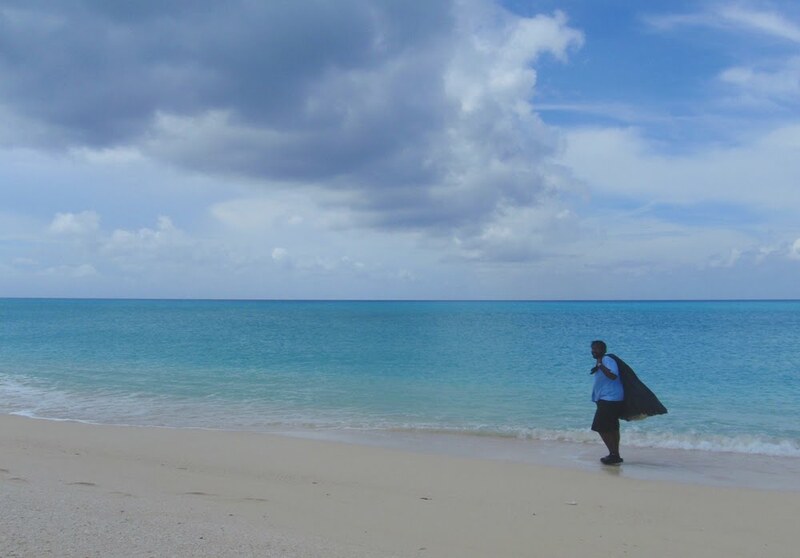 To learn more about the push to protect sharks in the Bahamas, take a look at these great new videos put out by the PEW & Bahamas National Trust. Great Article on Bimini Sands in Southern Boating Magazine!!! The latest issue of Southern Boating Magazine features a fantastic feature on Bimini Sands! The issue highlights little Bimini as the jewel that it is, and gives readers some incredible insight as to what has been luring travelers to this tiny island for decades. Make sure you pick up a copy of the latest Southern Boating Magazine to see the great articles about Bimini! Oh, and did we mention that it's the Swimsuit Issue as well? The cover photo features a beautiful model on the beach just in front of Bimini Sands! The Bahamas National Trust and the PEW Environmental Group have recently launched a campaign to establish the Bahamas as a shark sanctuary. Their goal is not to criminalize sport- or sustenance-fishing, but rather prevent a commercial shark fishery from being started in Bahamian waters. The Bahamas boasts some of the healthiest shark populations in the northern Atlantic, and the environmental and economic reasons to protect sharks here are vast. Not only do sharks play an unrivaled role in preserving and maintaining the health of our marine ecosystems, but shark-based tourism in the Bahamas generates upwards of around $80 million dollars every year. As part of this campaign to "Protect the Sharks of the Bahamas", the crew from the Bimini Sands Recreation Department teamed up with our friends at the SharkLab to distribute some fantastic, informative posters around Bimini yesterday. The goal is to build local support for this protection effort, and judging by the response of the Biminites we spoke with, this campaign will be very successful. Every single Biminite our team spoke with was supportive of the idea of banning commercial shark fishing in the Bahamas! Bimini Sands has been supporting shark conservation around Bimini for years, most notably by becoming the first Shark Free Marina, not only in the Bahamas, but in the entire world! Next time you visit Bimini, make sure you make it a point to learn about the importance of sharks in the Bahamas. Not only can you tour the world famous Bimini Biological Field Station right here on South Bimini, but you can also join one of Bimini Sands' extremely popular Shark Encounters, and see these amazing animals for yourself! Celebrate New Year's Eve with Bimini Sands!!! Anyone who has been to Bimini for New Year's Eve knows that it is one of the best places to celebrate, and now the rest of the world is learning this fact thanks to several travel websites, articles and blogs ranking Bimini among the 10 great places to ring in the New Year! 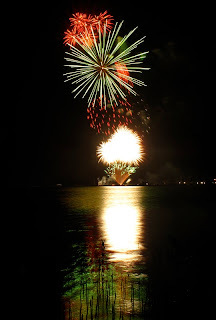 Along with noting that "Bimini is an excellent getaway anytime of the year," TravElated lists the Bimini Sands fireworks display as the key reason that Bimini made their list. 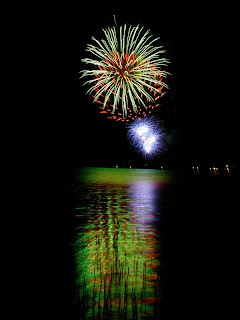 The Bimini Sands New Year's Eve fireworks display is not only the best on Bimini, but the best in the Bahamas! So join us this year to celebrate the start of 2011, we'll save you a spot at the Sand Bar! And check out more info about New Year's Eve on Bimini at the links here and here. 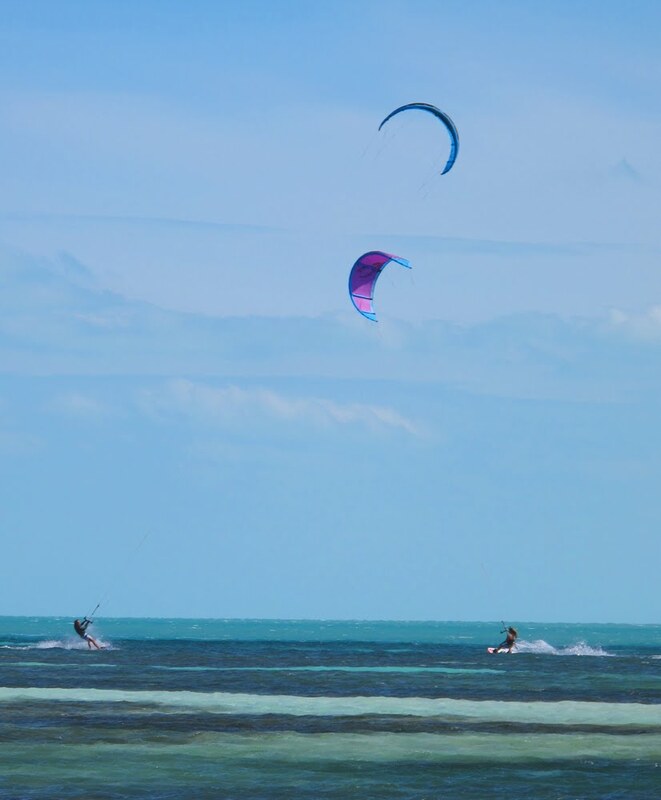 KiteBoarding Bash at the Bimini Beach Club! The Bimini Beach Club just finished hosting our first ever Bahamian Bash kiteboarding convention, and what a great time it was for everyone involved! Kiteboarding dealers and enthusiasts from around the globe joined the Bimini Kiteboarding team for 5 days of fun on Bimini, checking out the new line of 2011 boards and equipment from some of the top companies in the industry. November usually brings some breezy days to the Bahamas, and the weather didn't disappoint the group that was eager to make the most of the windy weather. For more information on this, and other kiteboarding activities around Bimini, check out the Bimini Kiteboarding website!! 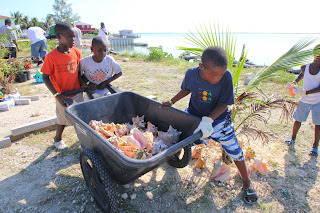 Tropical Storm Bonnie blew through the Bahamas last weekend, and while the windy weather made some activities around Bimini a little hard to accomplish, it also gave the crew from the Bimini Sands another chance give back to the local community. 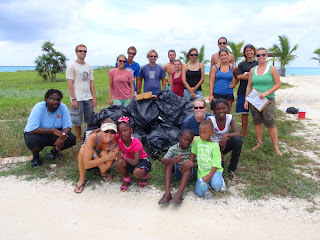 Over the last several years, Bimini Sands has joined the gang from South Bimini's famous SharkLab several times to participate in clean-up efforts around the island, and last Friday we did it again to pick up trash and litter along all the road-sides of South Bimini. So while the winds of Tropical Storm Bonnie swept through, we were busy sweeping away the litter from our roads and bringing it to the dump. All of us, visitors and residents, have a responsibility to keep Bimini clean. Whether its cleaning up the beaches, the reefs or the roadways, Bimini Sands has been at it for years. And we'll continue to work towards bringing Bimini a brighter, cleaner future. Bimini Sands Celebrates US & Bahamian Independence! Two HUGE celebrations occur in July every year around Bimini, and Bimini Sands has proven to be "the place to be" for these incredible parties. First, Bimini Sands sets off the best fireworks show in all of the Bahamas to celebrate US Independence on the 4th of July, and not even a week later, we do it all over again on the 10th for Bahamian Independence Day!!! Food, fun, fishing, and fireworks... Bimini Sands has everything you need to celebrate all summer long! Flamingo Visits the Beach Club!!! 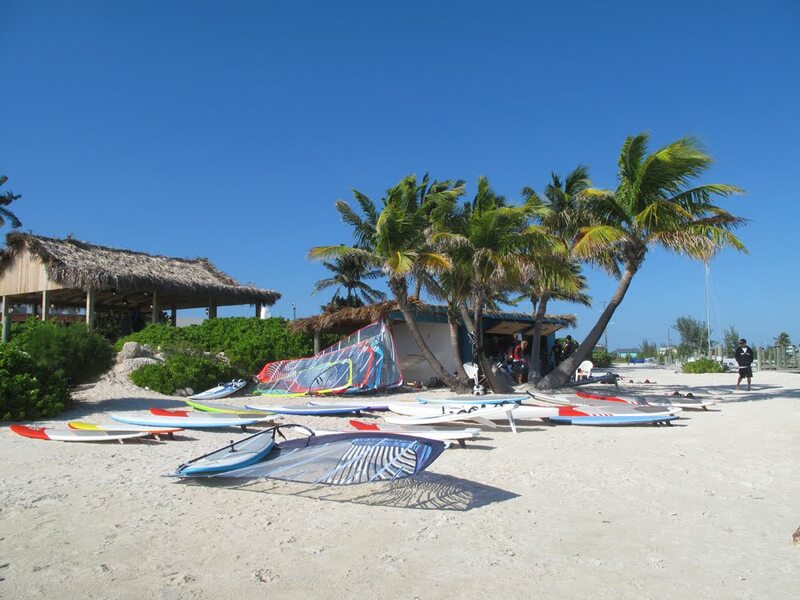 The Beach Club on South Bimini gets lots of visitors every week, with the Bimini Twist restaurant, Mackey's Sand Bar, the Square Grouper Tiki Bar, the Island Sushi Bar, beautiful beaches, excellent snorkeling, and even KiteBoarding lessons available, there is truly something for everyone. 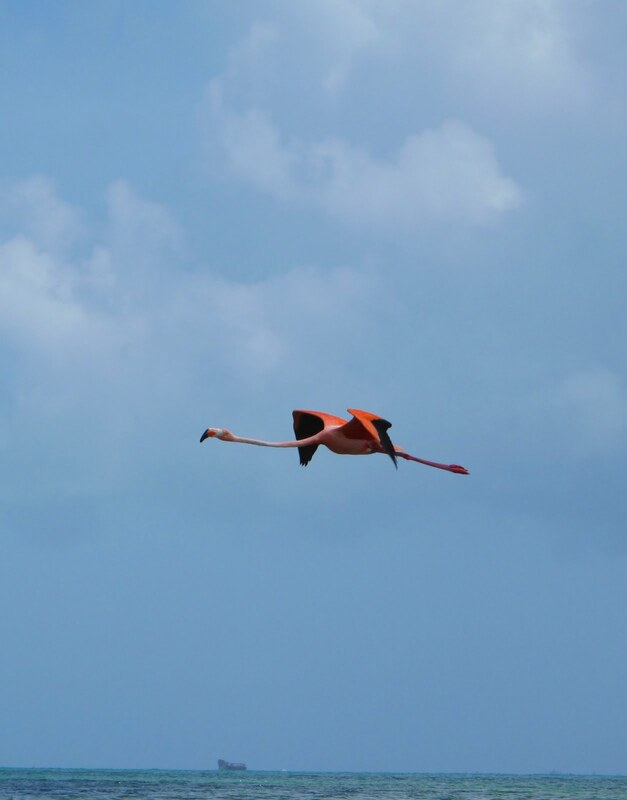 And now it seems as if even the national bird of the Bahamas wants to get in on the fun! 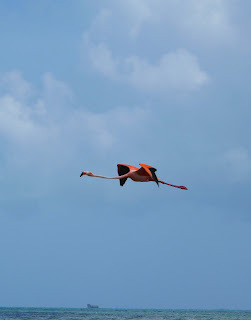 For the last few days, a beautiful West Indian Flamingo has been spending its days hanging out on the flats near the Beach Club. And while they are much more common in the southern islands of the Bahamas, particularly Inagua, every few years a few individuals make a brief stop on Bimini as they migrate around the Caribbean. 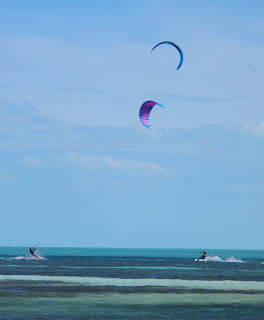 KiteBoarding at the Bimini Beach Club!!! 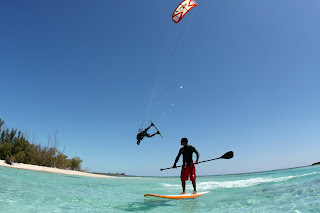 Bimini Sands has recently added another exciting new program to our resort amenities, Bimini Kite Boarding! Based out of the Bimini Beach Club, the Bimini Kite Boarding program offers the opportunity to join one of the fastest-growing, most thrilling sports on the water. 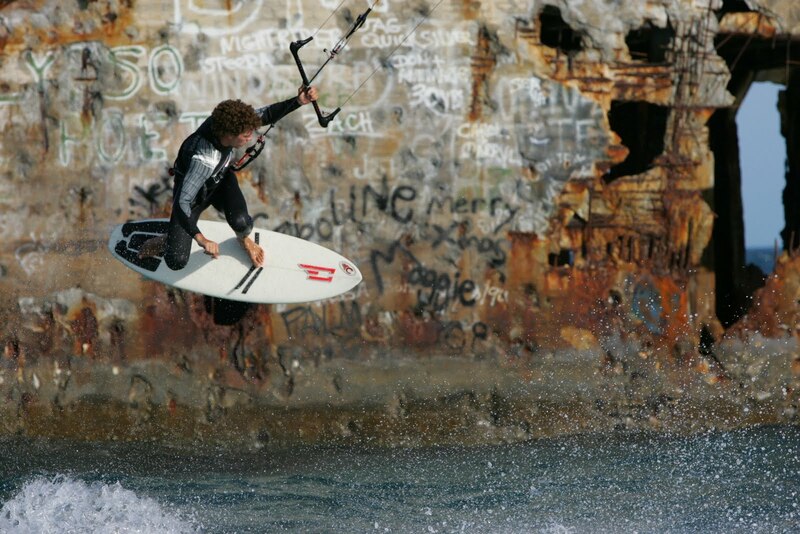 Along with Kite Boarding, guests can enjoy Stand-Up Paddle Boarding and Wake Boarding as well. For More Information, Click Here... And make sure you stop by the Bimini Beach Club on your next visit to Bimini! 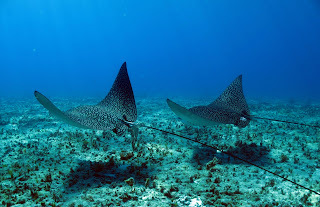 NATIONAL GEOGRAPHIC Visits Bimini Sands! 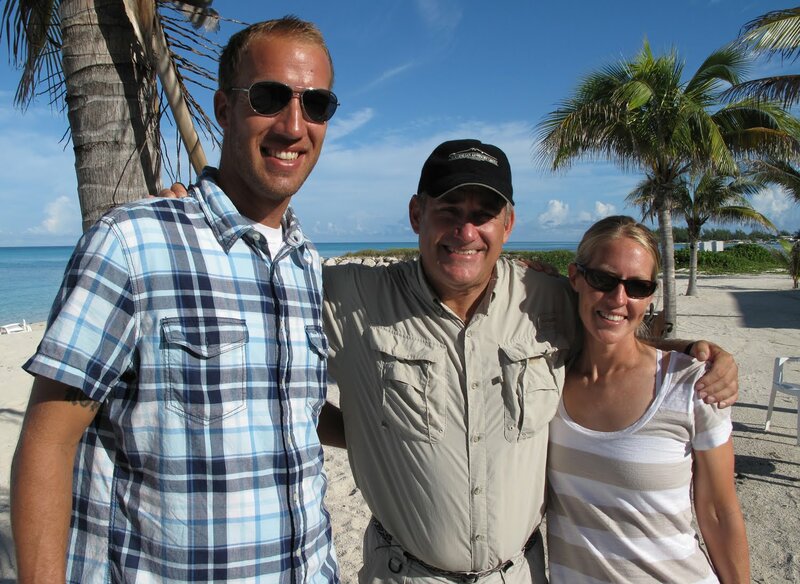 Bimini Sands just wrapped up five days of filming with the National Geographic Channel's hit series Dangerous Encounters with Brady Barr. The crew came to Bimini to film some of the incredible shark species that these islands are famous for, and ended up with some great footage of Lemon sharks, Nurse sharks, & Tiger sharks that will appear on an upcoming episode of Dangerous Encounters. Along with South Bimini's famous SharkLab, the crew from the Bimini Sands Recreation & Activity Center helped the National Geographic team get the shots they needed. One member from the Recreation Center also joined the film crew recently for a week of filming sawfish on the west side of Andros. 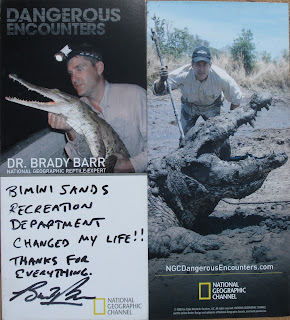 To find out more about these, and other exciting episodes of Dangerous Encounters with Brady Barr, check out the National Geographic Channel's website, or stop into the Bimini Sands Recreation & Activity Center! Bimini Sands in Southern Boating Magazine! The May issue of Southern Boating Magazine has dedicated itself to the beautiful islands of the Bahamas. This "Bahamas 2010 Special Addition" has loads of great information about all the islands of the Bahamas, including two separate articles that mention the Bimini Sands Resort & Marina and Bimini Beach Club! In their "Bahamas Update", Southern Boating explains "We recently found a pleasant surprise in the greatly refurbished Bimini Beach Club and Marina on the south end of South Bimini. If your goal is an exquisite white sand beach overlooking the most crystal-clear aqua ocean, the Beach Club is tops. If sipping frosted drinks at a poolside tiki bar is high on your list—that works, too. The elegant restaurant features the area’s only sushi bar." Later in the issue, Southern Boating introduces its readers to the Shark-Free Marinas initiative, and correctly points out that "Bimini Sands Resort & Marina was the first in all of the Bahamas to sign onto the campaign," and also talks about other marinas that have followed suit. Make sure you pick up the latest issue of Southern Boating to find even more reasons to make the Bimini your reel-life paradise! The school year is almost over and high-school seniors all over the US, and the Bahamas, are thinking about what to do after they graduate. Each year, Bimini hosts a Career Fair to help give students a better insight into the many jobs and careers available right here on Bimini, and Bimini Sands was once again asked to help showcase the different opportunities available in the tourism industry. Representatives from the Recreation & Activity Center and the Beach Club Restaurant spent the afternoon talking with students and answering questions about what it takes to succeed in this industry. Katie and Grant, from the Bimini Sands Recreation & Activity Center, even brought a Bimini Boa to the Career Fair to help highlight the numerous eco-tourism opportunities that Bimini has to offer. 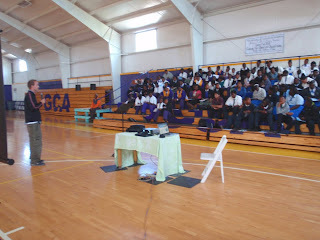 Our crew from the Recreation & Activity Office were also asked to give a presentation at the Gateway Christian Academy on North Bimini before the Career Fair. Bimini Sands is proud to have one of the most popular, and diverse eco-tourism programs on all of Bimini, and we're always eager to try to motivate the youth of Bimini to get involved in this exciting industry. With the opening of the Bimini Nature Trail back in 2008, the Bimini Sands Resort & Marina created one of the most talked-about new attractions around the Bahamas. 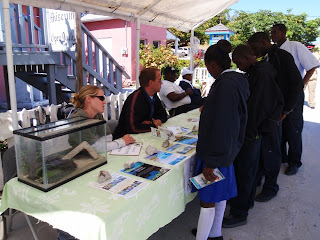 Since then, the Bimini Nature Trail has welcomed hundreds of guests, numerous school groups from around the Bahamas, and several film and print teams. Now, the Bimini Nature Trail is poised to host our first scientific research crew. 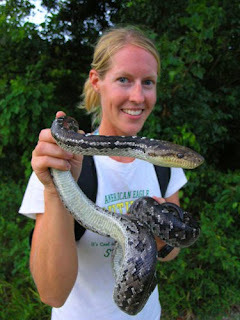 Members of the Global Insular Conservation Society are developing a project aimed at investigating the famous, yet mysterious, Bimini Boa and they have decided to use the Bimini Nature Trail as one of their primary study sites. The Bimini Boa is a completely harmless snake that is found no where else in the world, and is even listed by some conservation groups as an endangered species. And while this beautiful reptile is becoming a more familiar part of Bimini's eco-attractions, there is still little known about its life-history. The more we know about Bimini's wildlife, the more we will appreciate it, and the more we appreciate it, the more we will work to preserve it. Check out the Global Insular Conservation Society's website HERE to find out more about this exciting project. And for more information on the Bimini Nature Trail, click HERE.